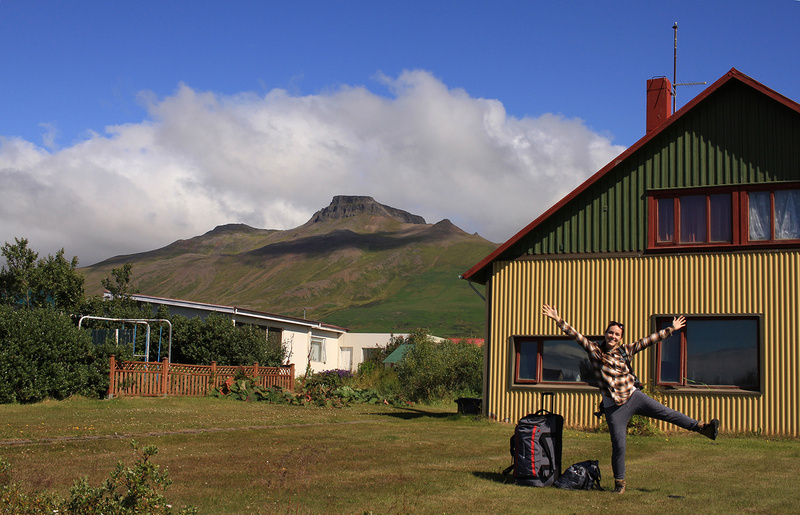 Behold, my "Holy @#$%, I made it" face, in front of my home for the next month; I will be living with Kerryn McMurdo, the onsite co-director of NES and dance artist from New Zealand. I'm finding my way around my new surroundings, and discovering how I fit. 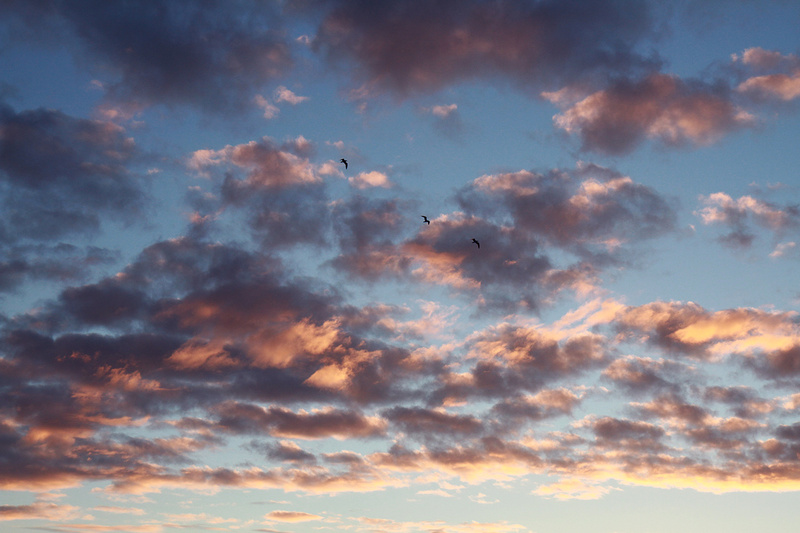 The sunsets stretch out into events longer than I'm used to, producing gorgeous light qualities on the clouds. 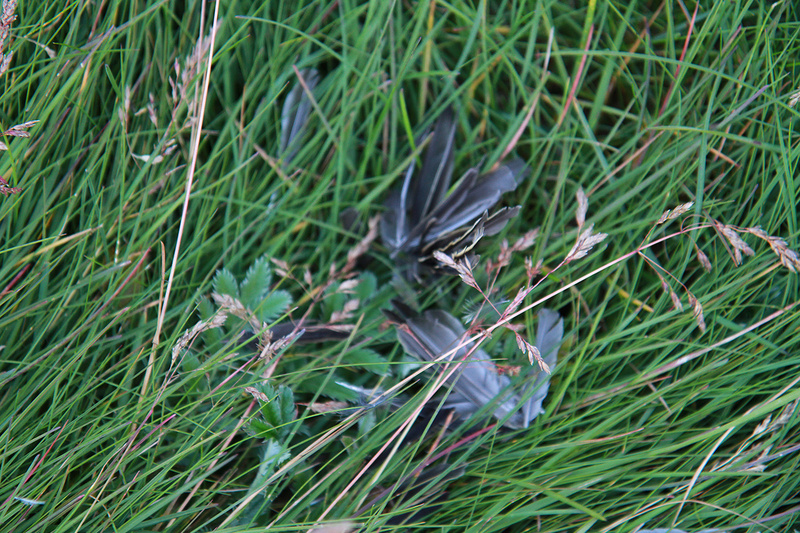 Seabirds dominate the local fauna. 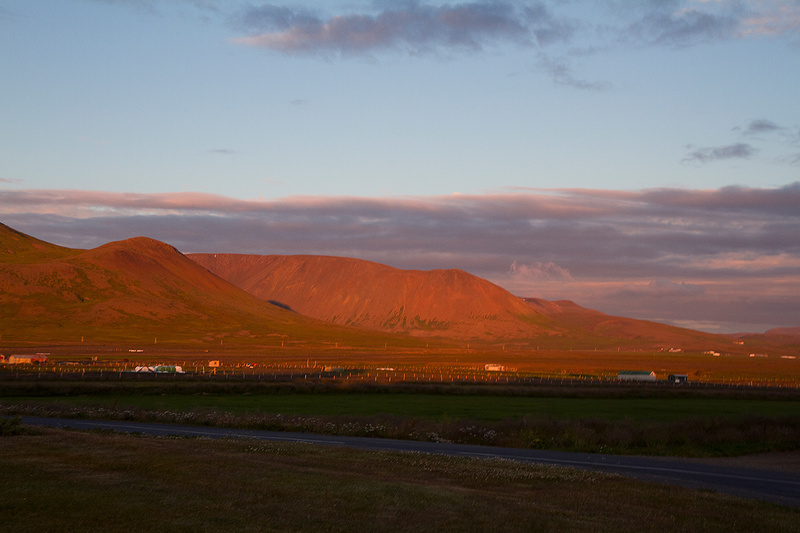 Even better than the clouds is the way the light hits the mountains and hills behind the town. 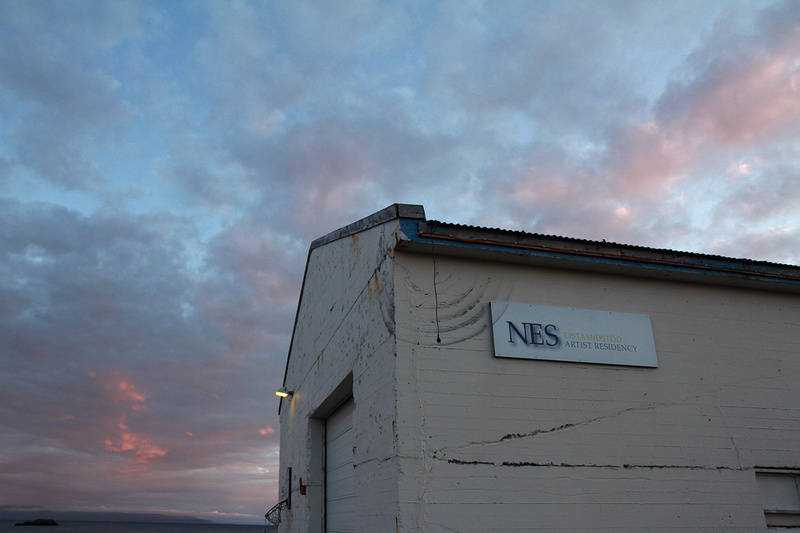 NES's studio space, at the end of the town's main road, is located in a former fish factory. 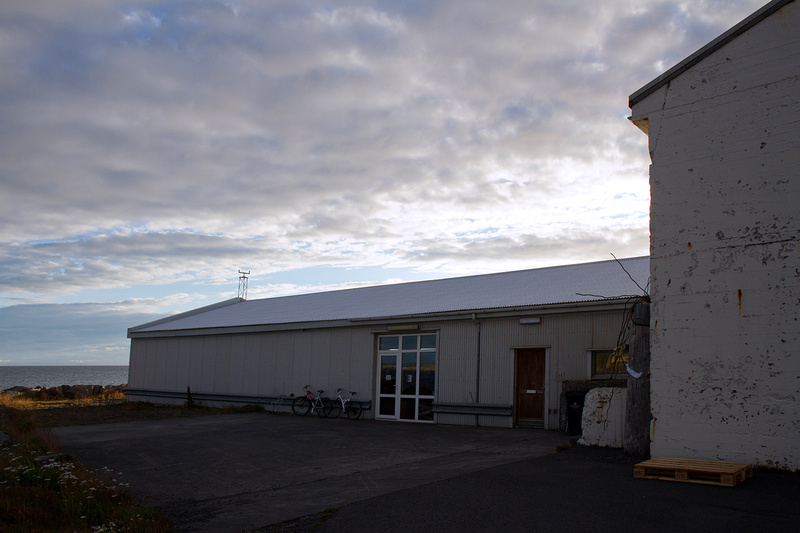 It's a pretty low-key building - unassuming for something that holds so much creative energy; outside sit two of the communal bikes, which are available for use by the artists. 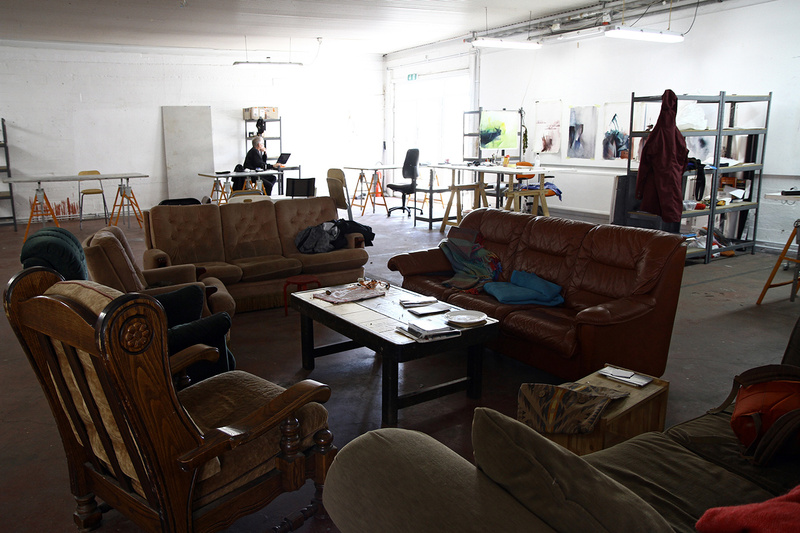 Interior view of the communal studio space, a mere twenty feet from the Arctic Ocean. 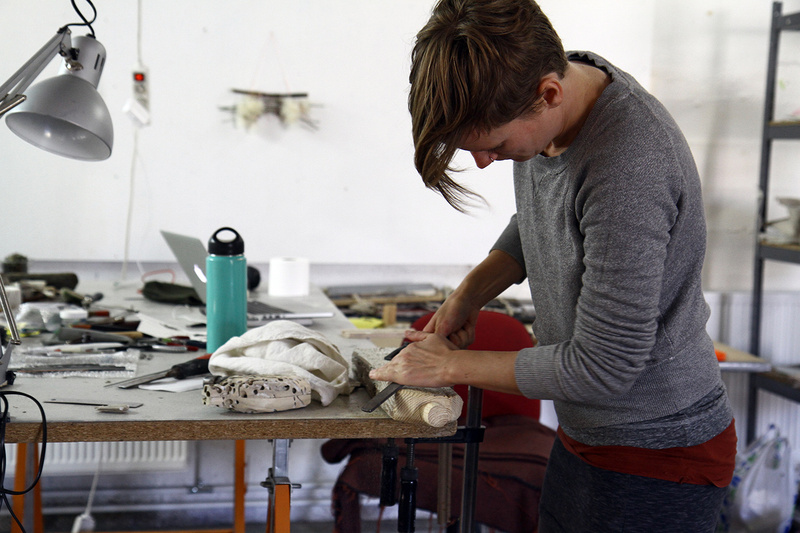 Sculptor Tova Lund, from Eugene, CA, works on refining a piece of driftwood with limited tools. 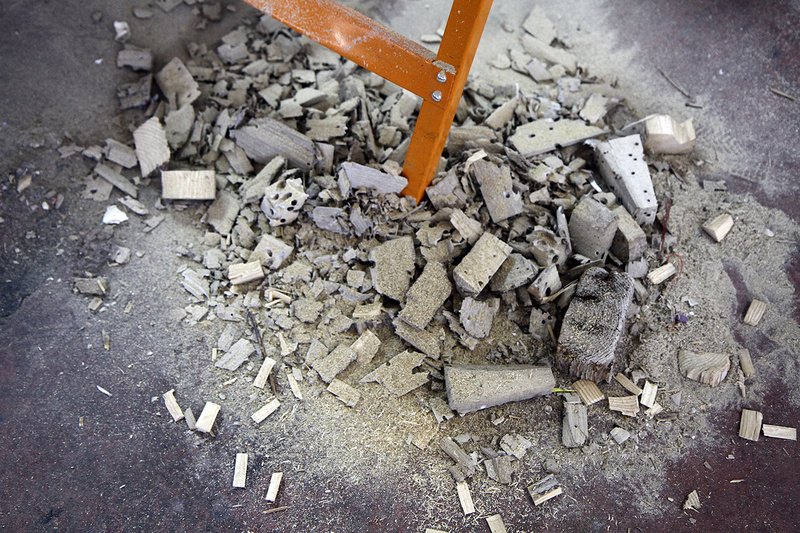 Tova's mess of subtracted wood on the studio floor. 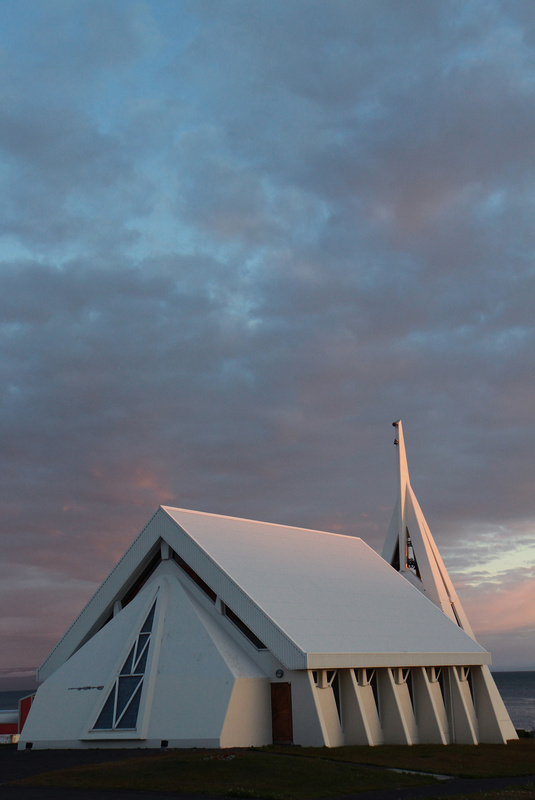 The town's sole church bathed in evening light, a structure I walk past every day on my way to the studio. 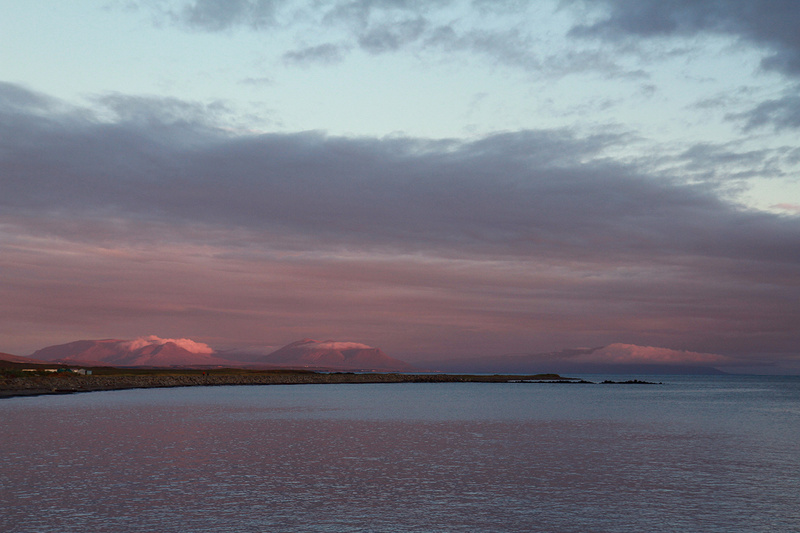 Magical sunset light on the neighboring fjord. 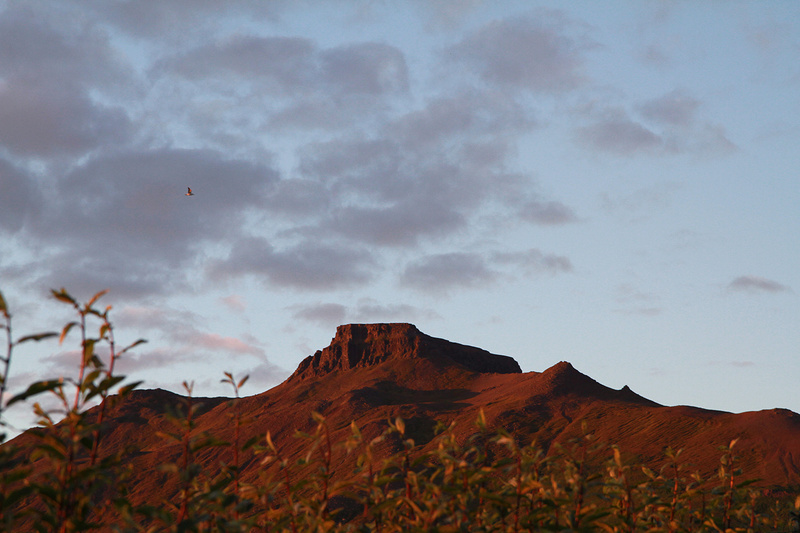 Spákonufell, or "Prophetess Mountain", viewable from my bedroom window, is featured in the Icelandic sagas as early as the 10th century as the home base of the prophetess/witch Þordis (pronounced like "Thordis"). 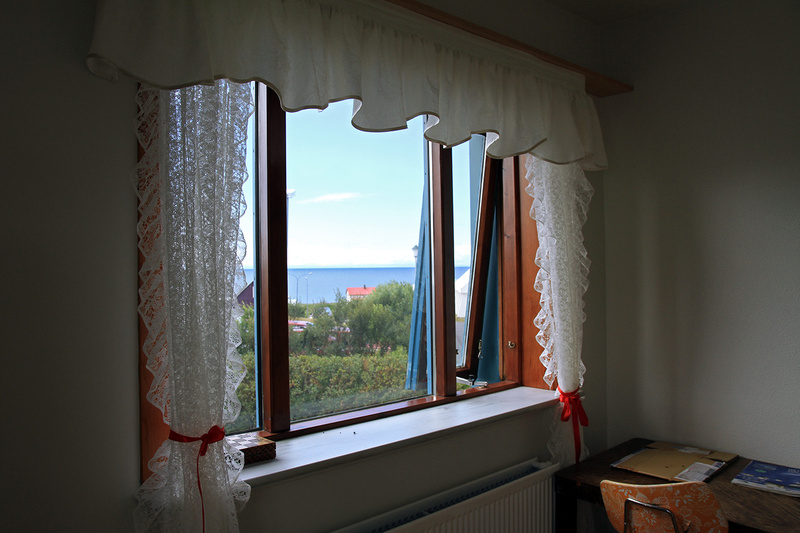 One of the artist houses, Fellsbraut, is very homey and has a beautiful view of the ocean. 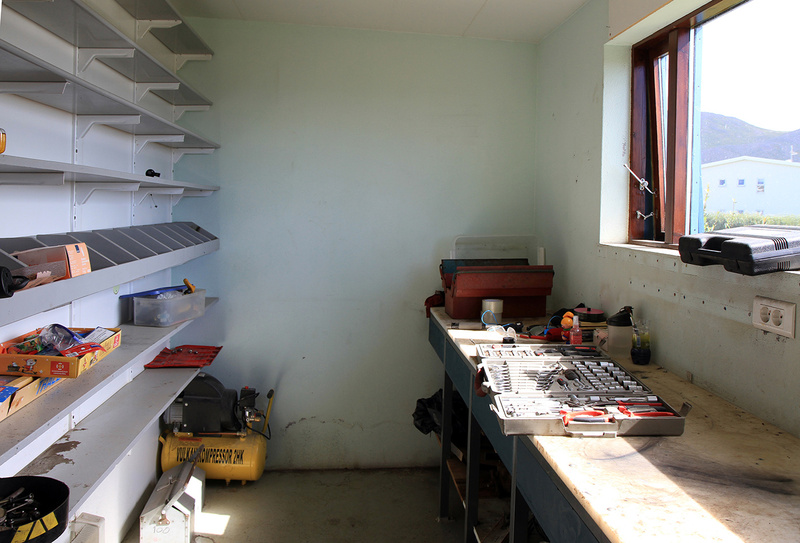 Part of my job here is to create a plan to transform this space, a tool shed in the garage of the Fellsbraut artist house, into a darkroom, as well as research/budget darkroom equipment for NES. 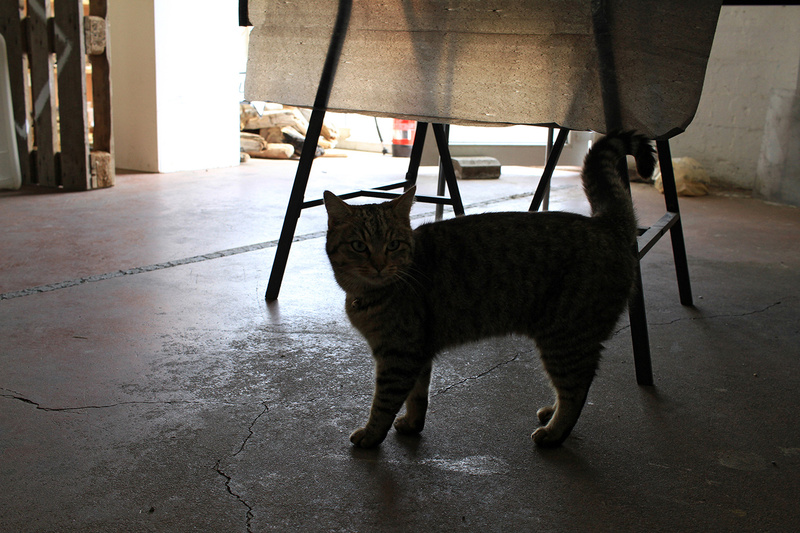 Kerryn's cat Líla, is a wild cat and a fierce huntress that lives with Kerryn and frequently spends time in the studio, beloved by the artists - Líla kills one or two birds a week, despite Kerryn's efforts to discourage this practice by putting a collar with a bell around her neck. One can find evidence of Lila's lethal nature all around town - this is outside the back door of the studio. 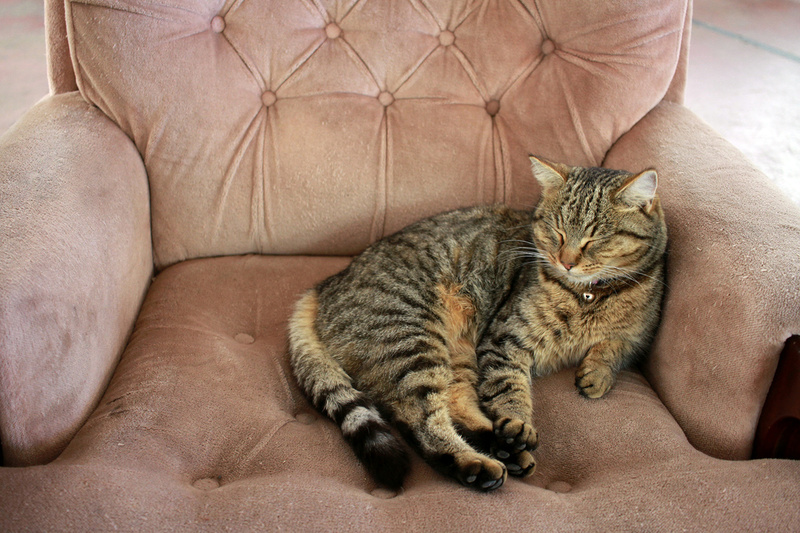 Lila makes herself at home on her favorite armchair in the studio and will nap here for hours. 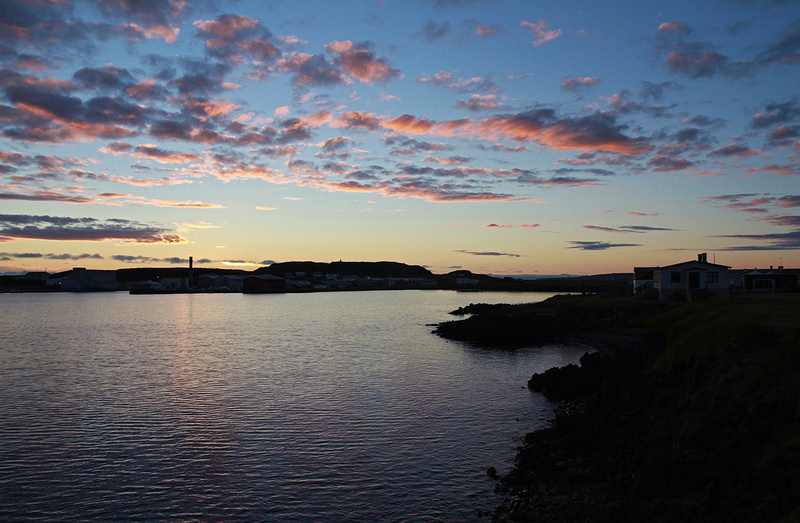 We took a field trip to a fjord to the east to see another residency's open house with one of NES' board members, Sígny - Bær Artist Center has a beautiful view of what looks like an island, but is accessible by a tiny road just above sea level. 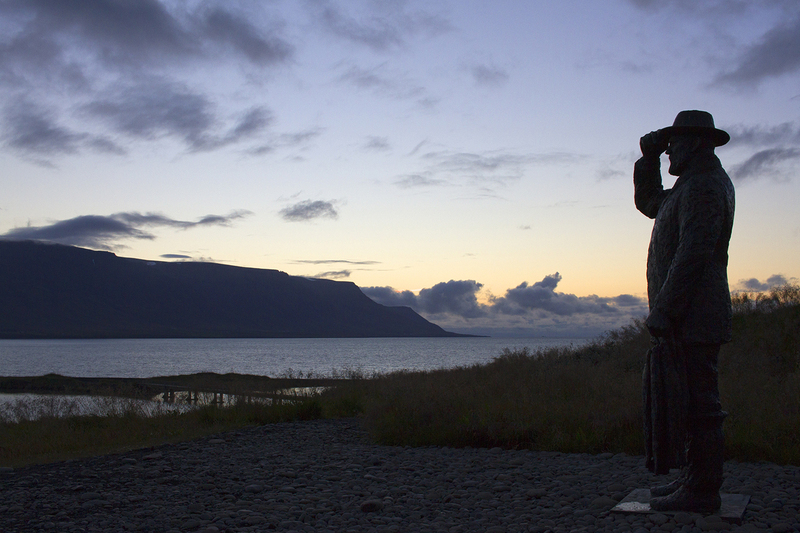 On the way back from Bær, we passed the statue of Jon Osmann, "The Ferryman", who spent his life ferrying people across the water using a hand-operated pulley system.